The peaceful town of Fish Hoek is on the False Bay coast between Cape Town and Simonstown, about 25 minutes from the city centre. 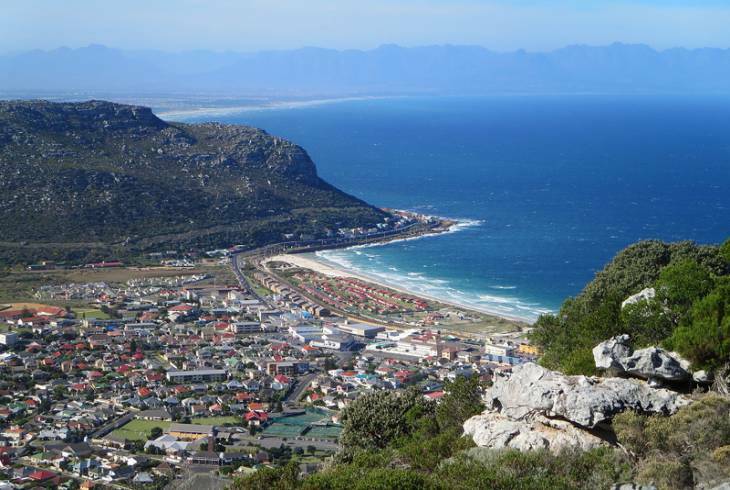 Fish Hoek is ideally placed to visit a variety of tourist attractions and its lengthy, white sandy beach is popular with water-sport enthusiasts and swimmers alike and an early morning swim is mandatory if you live here. The beach is also ideal for surfing, body boarding, deep sea fishing and snorkelling in the rock pools. From June to November Southern Right Whales can be spotted right from the beach in Fish Hoek and less common sightings of Bryde's Whales, Humpback Whales and Killer Whales have also been reported. Nature lovers have access to varying gradients of mountain trails: The short climb to Peers Cave, up the dunes above 19th Avenue, provides access to the shelter reputed to have been used by prehistoric man whereas the more strenuous Elsies Peak walk, straight up Outspan Road, leads to the top of the mountain and a protected area of indigenous fynbos.